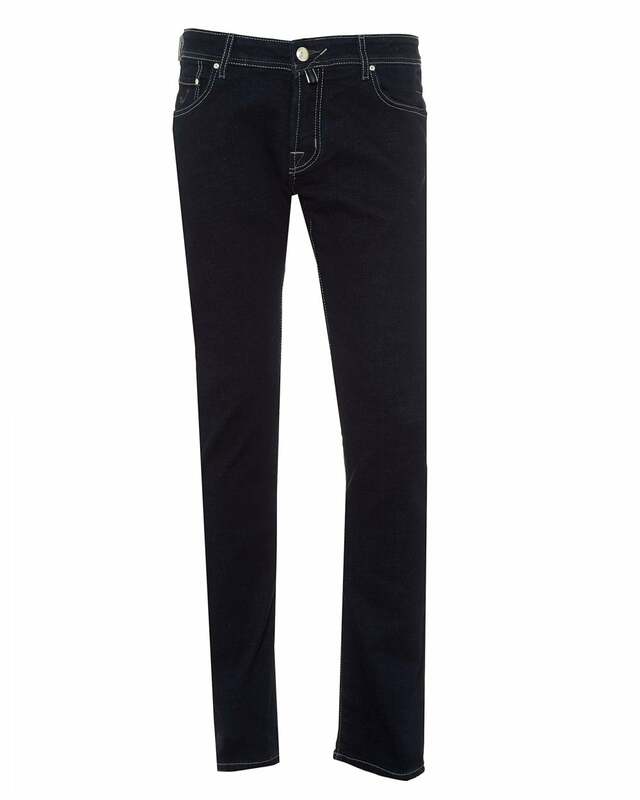 These jeans by Jacob Cohen are a staple for your weekend casual outfits. Featuring a pony skin grey patch, with matching grey stitching on versatile dark navy denim. These jeans can be worn with a white shirt and shoes for a smart evening out.